Damian on The ग्ली Project - Episode 7 "Sexuality". . Wallpaper and background images in the Damian McGinty club tagged: damian mcginty celtic thunder the glee project damian. 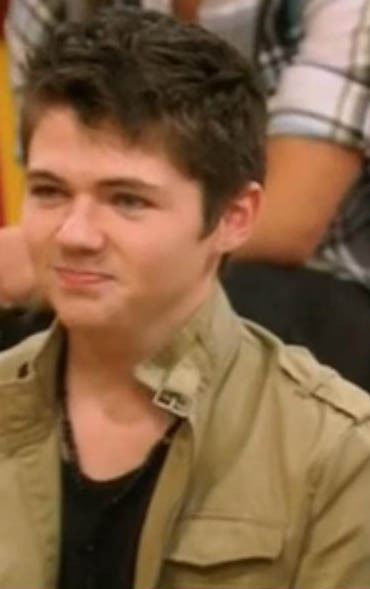 This Damian McGinty photo might contain ग्रीन टोपी, विशेष बलों, कुलीन सैनिक, हरे भरे, विशेष बल, हरी टोपी, अभिजात वर्ग सैनिक, वर्दी, थैली, and बांधे. Damian in The ग्ली Project - Episode 5 "Pairability"
Me mammy says..."always wear clean boxers, Damian, आप never know who'll be seein them"
Damian and his फ्रेंड्स on the eve of his 20th birthday! Excited much about the ग्ली Project...NAHHHHHH...ye think!!! Damian on The ग्ली Project - Episode 7 "Sexuality"
National एक प्रकार की रोटी, प्रेटज़ेल दिन 2012. Damian on The ग्ली Project Final Episode "Glee-Ality"
Damian on The ग्ली Project - Episode 1 "Indivituality"